Despite having been released all the way back in 2013, our recent disc brake group test would prove to be our first proper real-world encounter with the Afterburner brakes from FSA. The reason? We just haven’t had a test bike come through Singletrack Towers that’s been fitted with FSA brakes yet, which means our experience thus far has been restricted to squeezing levers on display models at various trade shows. That would seem a little unusual given FSA’s position as the third largest component manufacturer in the world (no points for guessing the first two), but perhaps it’s more of an indication of the stranglehold that those other two other companies have on the OEM brake market. Whatever the reason, we decided to get a set in for testing to find out what we’ve been missing out on. 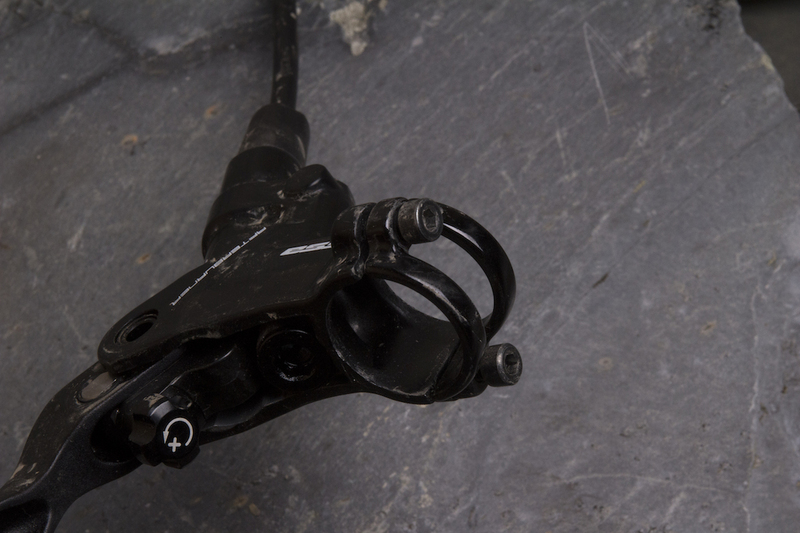 The Afterburner brake lever features tools-free adjustable reach and pad contact. The pared-down calliper is made from forged alloy. Despite FSA’s huge array of mountain bike components that includes cranksets, wheels and cockpit items, the brand currently offers just two disc brakes; the K-Force and the Afterburner. 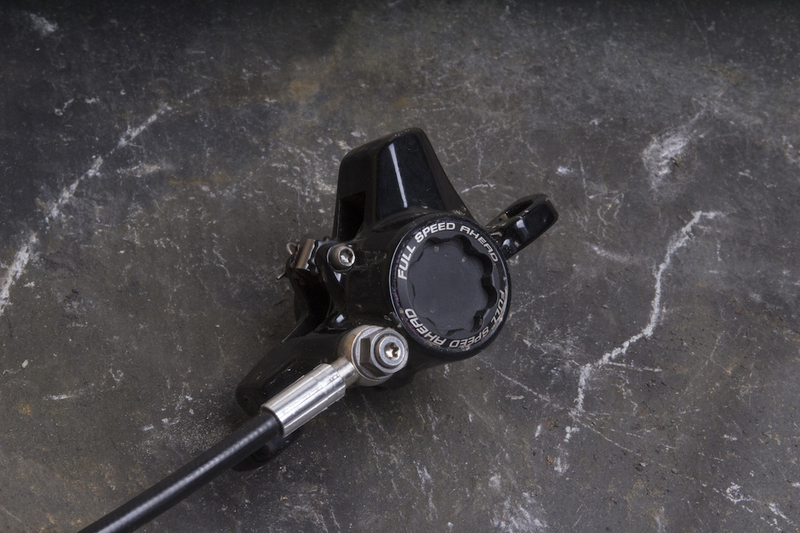 Both brakes are designed to cover the spectrum between XC racing and all mountain riding, and share a similar design with a flip-flop lever design, tool-free reach and pad contact adjustment, and large 22mm diameter twin-piston callipers. Helping to shave grammage, the higher-end K-Force is enhanced with weight-saving upgrades like a carbon lever blade, a magnesium lever body and titanium hardware, which allegedly saves 40g per end. If you’re not so worried about weight, the Afterburners trade the carbon and magnesium for alloy, and the titanium hardware for steel to bring the price down by £50 per end. 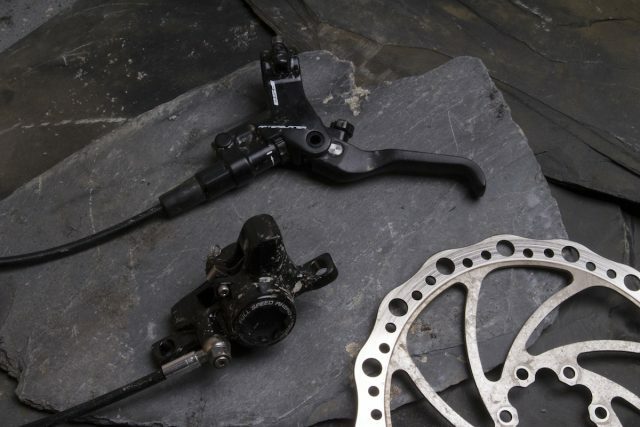 Despite being one of the biggest component brands in the world, FSA brakes aren’t that common. Can we have 4mm hex bolts for the lever clamp please? With split clamps and an ambidextrous lever design, the Afterburners are easy brakes to mount up on the bars. You’ll need a 3mm hex key to do it though, which is mildly annoying given that the vast majority of stem bolts and shifter clamps on the market require a 4mm hex key. The lever bodies are nice and slim though and the lever blades aren’t overly long, which meant we didn’t experience any compatibility issues with shifters or dropper post levers like we did with some other brakes on test. The lever blade itself looks and feels a little cheap though. The adjustments are useful, but the pad contact dial is an utter pain in the arse to move. Despite the Afterburners being the ‘cheaper’ version in the FSA disc brake line, they’re still packed with the same adjustments found in the K-Force brakes. That means you’ve got an externally adjustable dial for lever reach, which is discreetly tucked in behind the lever and offers noticeable detents as you fine-tune the lever setting. There’s a secondary adjustment ring built forward of the lever pivot, and it’s this dial that adjusts the brake pad bite point. The adjustment range is broad, so you can setup the brakes with your preferred amount of dead-stroke. For my little hands, I run the levers quite close to the bars (around 6cm away from the grips), and wound the pad contact all the way in to minimise as much dead-stroke as possible. That said, the pad contact dial has proven to be frustratingly fiddly to use, and I’ve had to resort to using pliers to get it moving. Of course once you get the lever reach and bite point setup for your preferences you’re unlikely to need to adjust them again, but it’s still frustrating. 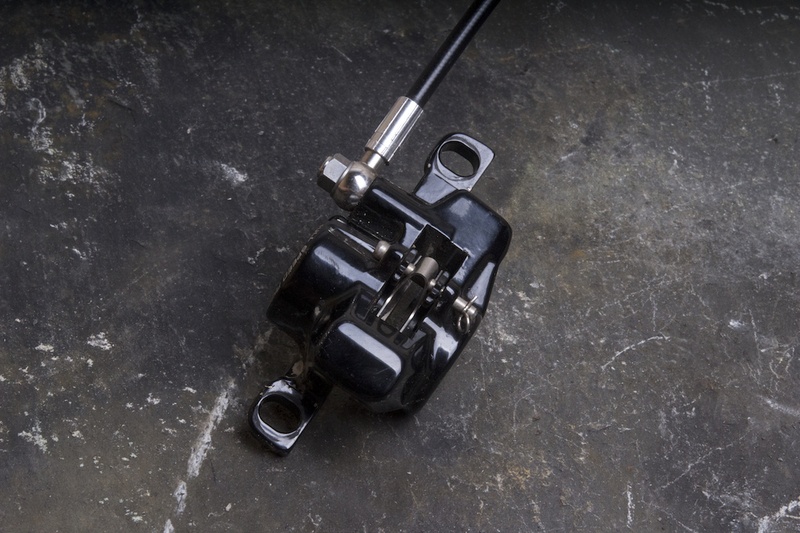 Like the lever bodies, the callipers are heavily relieved of material to reduce weight and increase heat dissipation. The callipers get two 22mm diameter phenolic pistons, and out of the box they offer loads of pad rollback to make aligning with the rotor nice and easy. 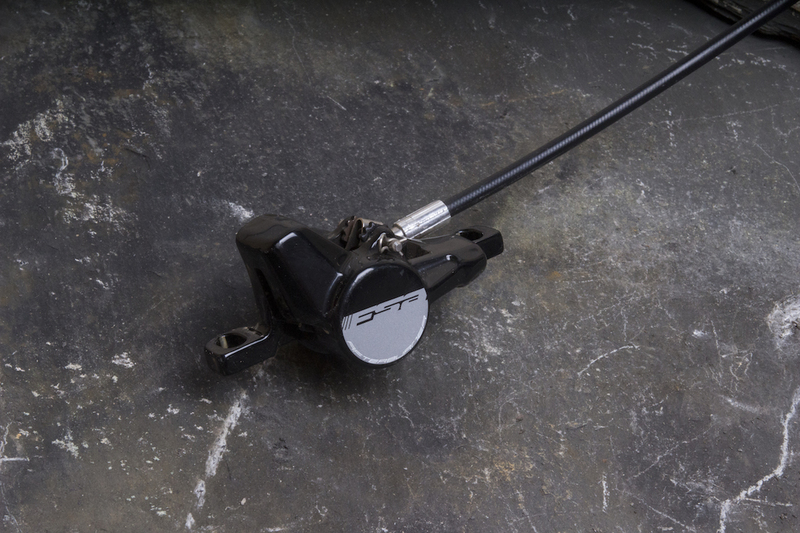 With a large gap between pads and rotor, the Afterburners have proved to be as pain-free to setup as most Shimano disc brakes, which also feature a similar amount of pad clearance. Speaking of our Japanese friends, while the Afterburner brakes come fitted with FSA’s own semi-metallic brake pads, the shape is identical to those used in Shimano twin-piston brakes such as the latest SLX, XT and XTR stoppers, making replacements significantly easier to source if you’ve burnt out a set on a riding holiday. Also shared with Shimano is the use of Mineral Oil, though it’s a different coloured fluid in the FSA brakes. Inside are two 22mm diameter phenolic pistons. Pads are the same shape as Shimano. One unique aspect of the Afterburner brakes is the use of different hoses front and rear. According to FSA, the rear hose uses a stiffer construction, with the goal of providing a more balanced brake feel between the left and right levers. I can’t say I really noticed, which I suppose is the point, though partway through the test period, I did find that the rear brake lever started to become a little spongier after air had somehow made its way into the system. Although we ran all the test brakes as they arrived to maintain the factory bleed, I ended up using the FSA bleed kit to remove some air from the rear brake line. The process is easy enough with a syringe loaded with mineral oil at either end, though it is a little more convoluted than other hydraulic systems out there (read: I had to look at the instructions). And I obviously didn’t remove enough of the air bubbles after the first bleed, as the rear brake lever soon become spongy again within a couple of rides. A secondary bleed then got it all sorted and the brakes have been fine since, but I wouldn’t say the process is entirely foolproof. 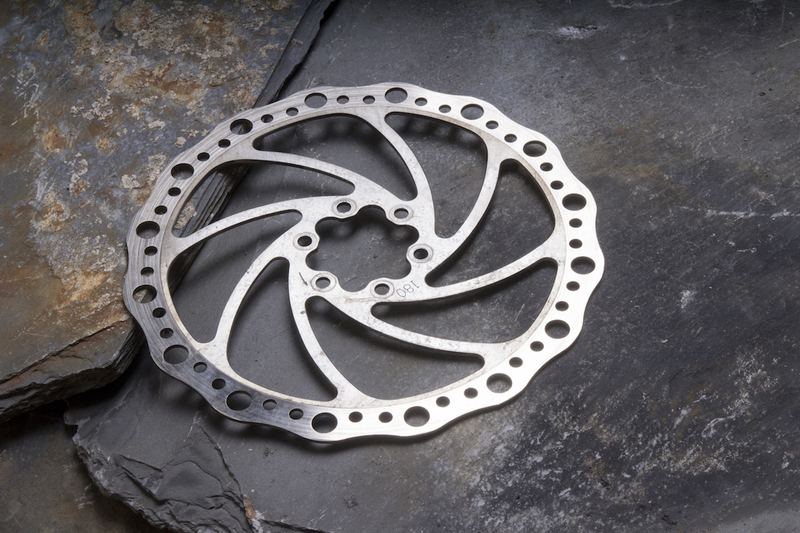 The stainless steel disc rotors are sold separately for £19.99 per rotor, which is much cheaper than the competition. 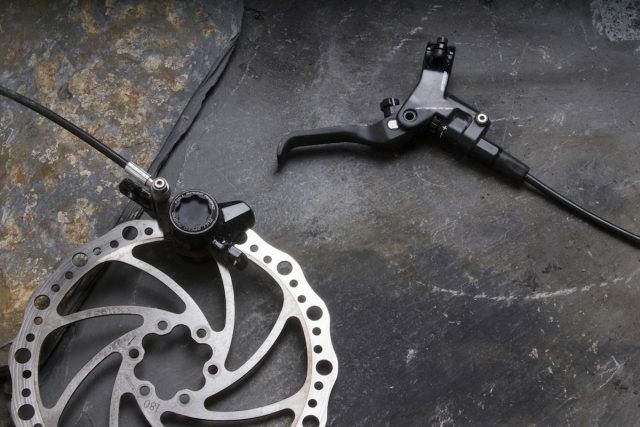 You can get lighter two-piece rotors from FSA, though those will come at £69 a pop. The rotors are cheap at £19.99 per end. Straight up – and really this goes without saying – FSA has a pretty sizeable job ahead of itself when it comes to the Afterburner brakes. It’s no secret that the brake market is dominated by two brands, and brakes seem to be the sort of component that once you find something that works for you, you’re unlikely to experiment with alternatives. As such, expectations were high – the Afterburners were going to have to wow us with their performance in order for us to recommend them over other more popular options on the market. Unfortunately, first impressions didn’t leave any of us blown away. The lever feel on the Afterburner isn’t as silky smooth as I’d like, as there’s enough friction in the lever pivot that it felt like more effort was required from my index finger to move the lever. 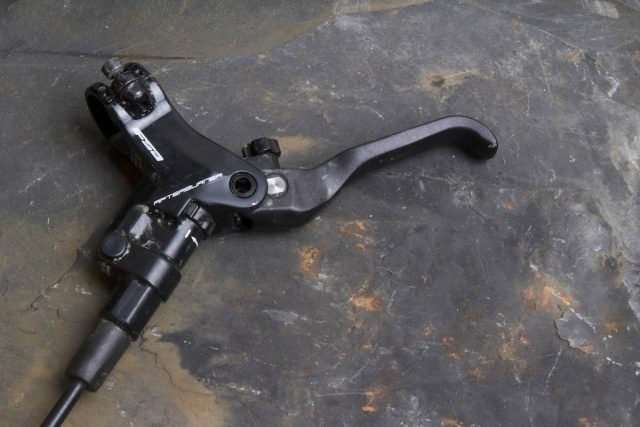 You soon get used to it, but compared to the smooth SRAM Code RSCs and the even-smoother Trickstuff Direttissimas, the Afterburners levers felt much stickier. Many hours and miles of testing later, that stickiness hasn’t changed. The actual brake feel itself is quite good though, with a slightly soft impact point as the pads begin contacting the rotor. As with other good disc brakes, this initial contact allows you to finely modulate power, without the brakes grabbing the rotors in a lurchy manner. A lot of this has to do with the Rocker Cam lever actuator, which is a small, curved alloy knuckle that connects the lever blade to the master cylinder. Much like Shimano’s Servo Wave or SRAM’s SwingLink, this hidden knuckle alters the leverage rate between lever movement and piston movement. It isn’t adjustable, but it works really well, allowing the pads to close on the rotor quickly, before slowing down to help you stay in control of braking power. On technical high-speed sections, the Afterburners just don’t have enough power. 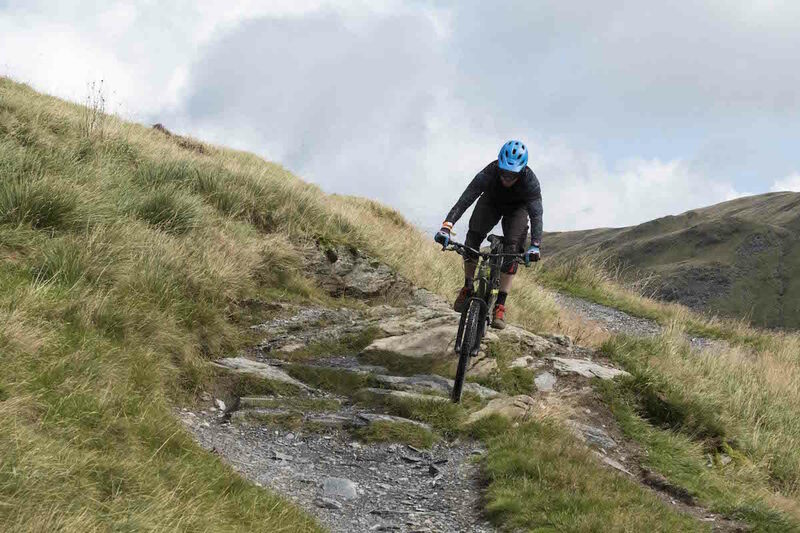 As I found during the early testing phase of cutting downhill runs at Antur Stiniog, and for the last few weeks on our local trails, modulation is most definitely the Afterburners’ strongest attribute. They offer a steady, predictable feel that gives you plenty of lever throw in that sweet-spot for adding or retracting brake force when you’re up to your armpits in a high-speed corner. Throw in some splooshy mud, or a bit of loose-over-hardpack, and this fine-tune control makes an enormous difference to avoiding tyre lockup and drifting uncontrollably. Because the power comes on later in the lever stroke, there’s fewer consequences to panic braking. This is in contrast to the initial bite of an equivalent twin-piston Shimano brake (such as an XT), which can be a little grabby to begin with. The Afterburners have no such grabbiness. However, that’s also the Afterburner’s weakness. 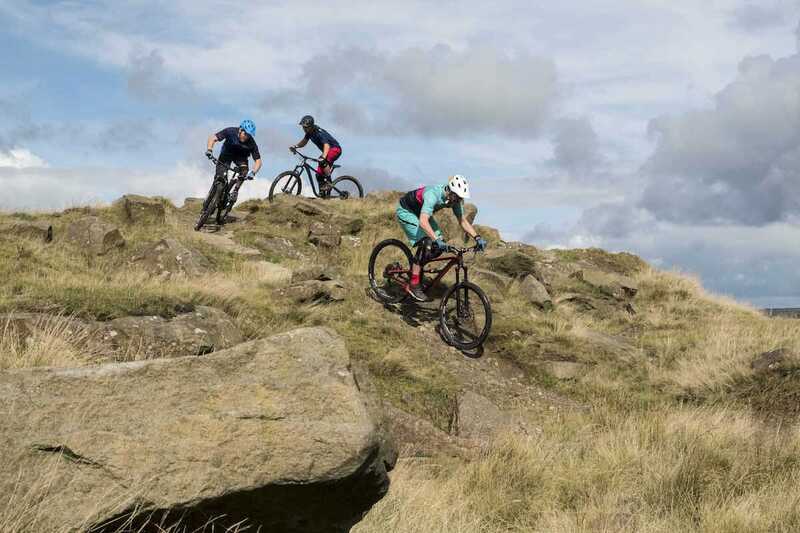 There’s just nowhere near as much power as the other brakes on test, which was particularly noticeable for heavier riders when riding faster, wide-open descents. In these situations, the Afterburners needed a hard and deep pull on the lever to get the necessary stopping force, even with the 180mm rotors we set them up with. As the lightest test rider at 68kg, it wasn’t too much of a problem for me, and to be honest, I do prefer a brake with more modulation over brute stopping force. But for other testers in the 80-90kg weight bracket, the lack of stopping power was a problem, especially when we were regularly switching between these and much, much more powerful brakes. With the stock rotors and pads, the Afterburners do tend to howl in wet weather, and braking power drops off a little too. To see if I could improve things, I tried swapped around the pads and rotors. I fitted sintered metallic brake pads from Fibrax, along with a set of Shimano Deore XT Ice Tech rotors. This pretty much eliminated the noise, and braking power did improve without too much sacrifice to modulation. For those who already own a set of these brakes and are looking for more stopping force, then I can definitely recommend trying other pads and rotors. That said, they still lacked the outright power I’d expect of a brake designed for proper trail riding. Excellent modulation and brake feel, but we’d like to see more power and some refinements to the lever before we could recommend these. As one of the underdogs in our disc brake group test, the FSA Afterburners came with lofty expectations, and especially given their price. 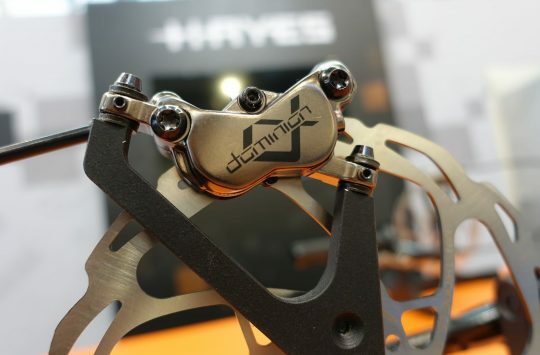 They’re not cheap brakes at £199 per end, which does see them playing in similar territory to Shimano XTR (£219 per end) and SRAM Guide RSCs (£229 per end). Part of the cost surely comes down to the complexity of the brake lever construction with its tool-free adjustable reach and pad contact, and admittedly both those adjustments work well – save for the fiddly pad contact dial. 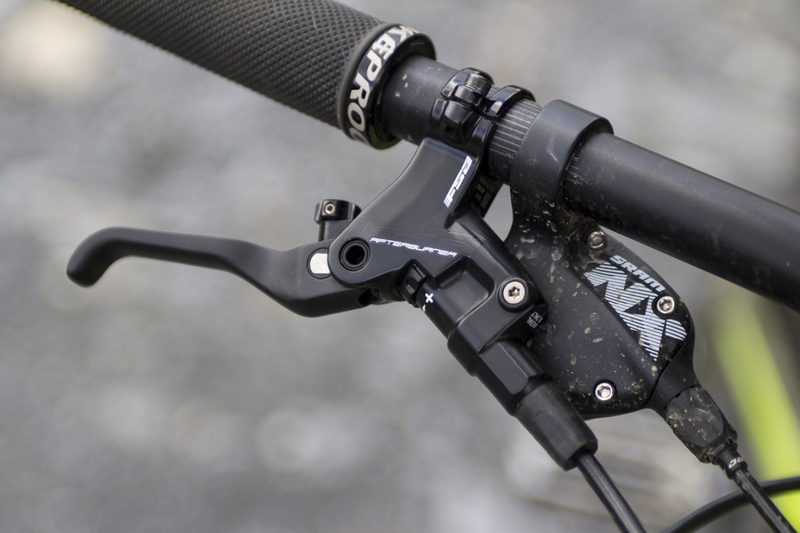 Modulation is excellent, and thanks to the Rocker Cam knuckle, they offer great lever feel on the trail. 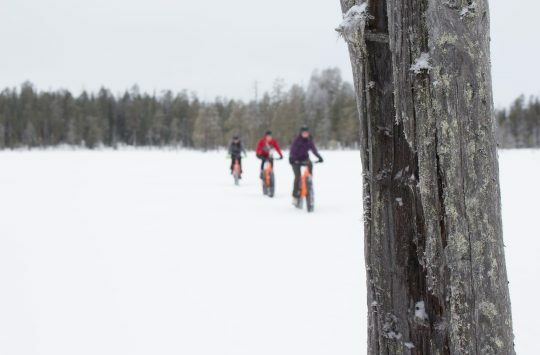 However, they’re far better suited to using for XC applications than for gravity-based riding, as there’s just not enough power on tap for hard and fast descending. Ultimately, there are better performing brakes out there for less money that we’d recommend over the Afterburners. And unless FSA is going to price these more aggressively or refine them to provide higher performance, it’ll have a hard time wooing potential customers away from their current favourite brakes.